<< Back JoMoS. POLO. BROWN. Sizes: 12. 13. 14. 15. JoMoS. POLO. BROWN. Sizes: 12. 13. 14. 15. Soft Grain Leather upper. 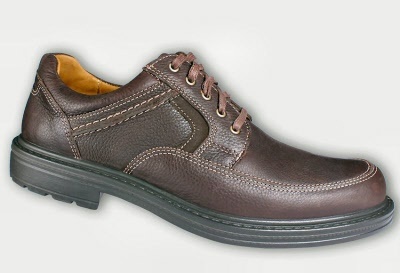 Leather / textile lining, Fully cushioned removable supportive footbed. Apron front seam detail with contrast stitch / panel detail on sides & upper. Features Air comfort technology. Rubber sole . Lightweight Comfort and style combined. Ultra smart casual for all occasions.